Sorted Surf Shop stocks a huge range of Mini Mal Surfboards to suit all surfing abilities from the beginner to intermediate. Our range has been selected on the best performers and most durable surfboards we could find. All the very best brands have been chosen and if you are unsure on what will be best for you then feel free to give us a call. Where To buy A Mini Mal Surfboard? Coming from the South Coast of the Uk we are use to waves that have less power and where you need a board with a bit more volume and length. A mini malibu surfboard was born in California where the people riding longboards wanted something a little shorter so they could turn better and get more performance. Nowadays a mini mal is associated with beginners or a summer fun board for the more regular surfer.  Sorted Surf Shop has selected some of the best boards on the market so that you will be able to get the board to suit you surfing needs. A Mini mal board will generally range from 7ft up to 8ft 6" and have a width of around 21 inches to 23 inches. this ensures that you have a board that will float you and be a stable platform giving you time to get to your feet. Some brands that will be worth considering are Cortez which is constructed from epoxy which is a hard wearing material and very light weight. Perfect for anyone either wanting a first board to progress on or a more advanced surfer wanting a fun board for smaller days. Being a very hard wearing surfboard it means that it is less likely to get damaged if you collide with something. The other best selling brand is Bic Surfboards which is Europe's best selling board. These a plastic construction and are pretty much bullet proof, meaning it's great to learn on as you wont be forever getting it repaired. They are also the cheapest boards on the market so a great family surfboard or the occasional summer surfer. Which ever route you are looking to go down Sorted has a huge range for you to choose from and we will be more than happy to help you in terms of advice, so feel free to give us a call.